What would you do if you wanted to check whether a particular query/batch you wrote is free from any errors without using Intelli-sense and without executing or compiling the statement? 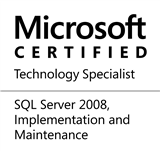 It’s a fairly simple question for anyone who has worked with SQL Server for a considerable amount of time. You would use the tiny blue check-box besides the “Execute” and “Debug” buttons on the SSMS toolbar, right? Well, if you are a keyboard-savvy developer (like me), you would use a SET option. SET options allow us to change the behaviour of SQL Server for the current session with respect to handling of specific information like date and time values, locking, Query execution, transaction, ISO settings and Statistics. One such option is the SET PARSEONLY option, which when set to ON, parses a T-SQL query/batch for errors without executing or compiling the query/batch. Let’s do a simple test to confirm if this indeed works or not. After parsing the query using the PARSEONLY option, we will attempt to see if a cached plan was generated for the query. If the query compiles or gets executed, an entry would exist for the cached plan. --Check for caching of the query plan. Execution of both the queries succeed, but no records are returned by the 2nd query (one which returns cached plans). Checking the “Messages” tab also tells us that no records were returned back to the client, indicating that the first query was only parsed, but not compiled or executed. This entry was posted in #SQLServer, Blog, Imported from BeyondRelational and tagged #SQLServer on October 15, 2012 by nakulvachhrajani.